Anthony J Iselborn, D.C., is a chiropractor located in Jacksonville, FL. Techniques: • Diversified • Cox • Gonstead • Thompson Take the next step and contact Dr. Anthony J Iselborn, D.C., for a consultation in Jacksonville, FL or to get more information. Tina Warren, D.C., is a chiropractor located in Jacksonville, FL. Techniques: • Diversified • Coupled Reduction • Cox • Thompson • Activator Methods • Applied Kinesiology • Acupuncture • Massage Therapy Take the next step and contact Dr. Tina Warren, D.C., for a consultation in Jacksonville, FL or to get more information. Chad P. Shaw, D.C., is a chiropractor located in Jacksonville, FL. Techniques: • Diversified • Toggle Recoil • Gonstead • Flexion-Distraction • Thompson • Cox Take the next step and contact Dr. Chad P. Shaw, D.C., for a consultation in Jacksonville, FL or to get more information. James Moore, D.C., is a chiropractor located in Jacksonville, FL. Techniques: • Diversified • Gonstead Take the next step and contact Dr. James Moore, D.C., for a consultation in Jacksonville, FL or to get more information. John F Perkins, D.C., is a chiropractor located in Jacksonville, FL. Techniques: • Gonstead • Diversified • Activator Methods • Cox Take the next step and contact Dr. John F Perkins, D.C., for a consultation in Jacksonville, FL or to get more information. Ellan S Duke, D.C., is a chiropractor located in Jacksonville, FL. Techniques: • Diversified • Thompson • Sacro Occipital Technique Take the next step and contact Dr. Ellan S Duke, D.C., for a consultation in Jacksonville, FL or to get more information. Dennis A Doyle, D.C., is a chiropractor located in Jacksonville, IL. Techniques: • Activator Methods • Cox • Logan Basic Take the next step and contact Dr. Dennis A Doyle, D.C., for a consultation in Jacksonville, IL or to get more information. Charles E Doll, D.C., is a chiropractor located in Jacksonville, FL. Take the next step and contact Dr. Charles E Doll, D.C., for a consultation in Jacksonville, FL or to get more information. Franca M Alterman, D.C., is a chiropractor located in Jacksonville Beach, FL. Take the next step and contact Dr. Franca M Alterman, D.C., for a consultation in Jacksonville Beach, FL or to get more information. Active Chiropractic Medicine & Soft Tissue, P.A. Jeffrey D Lipp, D.C., is a chiropractor located in Jacksonville, FL. Techniques: • Active Release Technique • Flexion-Distraction • Gonstead • Palmer Package • Logan Basic • Diversified Take the next step and contact Dr. Jeffrey D Lipp, D.C., for a consultation in Jacksonville, FL or to get more information. Deborah Fralicker, D.C., is a chiropractor located in Jacksonville, FL. Techniques: • Diversified Take the next step and contact Dr. Deborah Fralicker, D.C., for a consultation in Jacksonville, FL or to get more information. Andrew G Roberts, D.C., is a chiropractor located in Jacksonville, FL. Techniques: • Gonstead Take the next step and contact Dr. Andrew G Roberts, D.C., for a consultation in Jacksonville, FL or to get more information. David K Rouse, D.C., is a chiropractor located in Jacksonville, FL. Techniques: • Diversified • Gonstead • Activator Methods Take the next step and contact Dr. David K Rouse, D.C., for a consultation in Jacksonville, FL or to get more information. Cheryl Small, D.C., is a chiropractor located in Jacksonville, FL. Take the next step and contact Dr. Cheryl Small, D.C., for a consultation in Jacksonville, FL or to get more information. Rita Webb, D.C., is a chiropractor located in Jacksonville, FL. Techniques: • Sacro Occipital Technique • Diversified • Gonstead • Thompson • Activator Methods Take the next step and contact Dr. Rita Webb, D.C., for a consultation in Jacksonville, FL or to get more information. Debbie Carson, D.C., is a chiropractor located in Jacksonville, AR. Take the next step and contact Dr. Debbie Carson, D.C., for a consultation in Jacksonville, AR or to get more information. 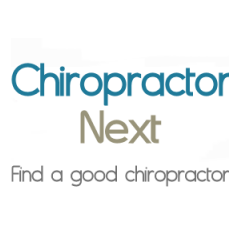 Todd L Mc Clerren, D.C.
Todd L Mc Clerren, D.C., is a chiropractor located in Jacksonville, FL. Take the next step and contact Dr. Todd L Mc Clerren, D.C., for a consultation in Jacksonville, FL or to get more information. James Robinson, D.C., is a chiropractor located in Jacksonville, FL. Techniques: • Diversified • Thompson • Cox Take the next step and contact Dr. James Robinson, D.C., for a consultation in Jacksonville, FL or to get more information. Kenneth Zane Finger, D.C., is a chiropractor located in Jacksonville Beach, FL. Take the next step and contact Dr. Kenneth Zane Finger, D.C., for a consultation in Jacksonville Beach, FL or to get more information. Matthew Pierce, D.C., is a chiropractor located in Jacksonville, FL. Techniques: • Atlas Orthogonal • Sweat • Upper Cervical Take the next step and contact Dr. Matthew Pierce, D.C., for a consultation in Jacksonville, FL or to get more information. Robert A Grovenstein, D.C., is a chiropractor located in Jacksonville Beach, FL. Techniques: • Thompson • Palmer Package • Nimmo Take the next step and contact Dr. Robert A Grovenstein, D.C., for a consultation in Jacksonville Beach, FL or to get more information. J David Shore, D.C., is a chiropractor located in Jacksonville, FL. Techniques: • Diversified • Gonstead • Thompson • Activator Methods Take the next step and contact Dr. J David Shore, D.C., for a consultation in Jacksonville, FL or to get more information. Hugo Orozco, D.C., is a chiropractor located in Jacksonville, FL. Techniques: • Activator Methods • Diversified • Gonstead • Manual Adjusting • Extremity Adjusting • Full Spine Take the next step and contact Dr. Hugo Orozco, D.C., for a consultation in Jacksonville, FL or to get more information. Cynthia L Bohannon, D.C., is a chiropractor located in Jacksonville, FL. Techniques: • Cox • Diversified • Gonstead • Thompson Take the next step and contact Dr. Cynthia L Bohannon, D.C., for a consultation in Jacksonville, FL or to get more information. W Kevin Terry, D.C., is a chiropractor located in Jacksonville, FL. Techniques: • Gonstead Take the next step and contact Dr. W Kevin Terry, D.C., for a consultation in Jacksonville, FL or to get more information. Rose A Ducasse, D.C., is a chiropractor located in Jacksonville, FL. Techniques: • Diversified • Thompson • Manual Adjusting • Upper Cervical • Activator Methods Take the next step and contact Dr. Rose A Ducasse, D.C., for a consultation in Jacksonville, FL or to get more information. Mark Pierce, D.C., is a chiropractor located in Jacksonville, FL. Techniques: • General Chiropractor Take the next step and contact Dr. Mark Pierce, D.C., for a consultation in Jacksonville, FL or to get more information. John Tender, D.C., is a chiropractor located in Jacksonville Beach, FL. Take the next step and contact Dr. John Tender, D.C., for a consultation in Jacksonville Beach, FL or to get more information. Joseph Altomare, D.C., is a chiropractor located in Jacksonville, FL. Take the next step and contact Dr. Joseph Altomare, D.C., for a consultation in Jacksonville, FL or to get more information. Robert Gibson, D.C., is a chiropractor located in Jacksonville, FL. Take the next step and contact Dr. Robert Gibson, D.C., for a consultation in Jacksonville, FL or to get more information. Ellen E Matuszak, D.C., is a chiropractor located in Jacksonville, NY. Techniques: • Activator Methods Take the next step and contact Dr. Ellen E Matuszak, D.C., for a consultation in Jacksonville, NY or to get more information. Edward H Schott, D.C., is a chiropractor located in Jacksonville, FL. Take the next step and contact Dr. Edward H Schott, D.C., for a consultation in Jacksonville, FL or to get more information. Frank H Kemp, D.C., is a chiropractor located in Jacksonville, FL. Take the next step and contact Dr. Frank H Kemp, D.C., for a consultation in Jacksonville, FL or to get more information. Patrick Opachich, D.C., is a chiropractor located in Jacksonville, FL. Take the next step and contact Dr. Patrick Opachich, D.C., for a consultation in Jacksonville, FL or to get more information. April A Dodd, D.C., is a chiropractor located in Jacksonville, FL. Techniques: • Diversified • Thompson Take the next step and contact Dr. April A Dodd, D.C., for a consultation in Jacksonville, FL or to get more information. Bruce S Sambursky, D.C., is a chiropractor located in Jacksonville, FL. Techniques: • Diversified • Flexion-Distraction • Activator Methods • Cox • Thompson Take the next step and contact Dr. Bruce S Sambursky, D.C., for a consultation in Jacksonville, FL or to get more information. Donald Warren Lowery, D.C., is a chiropractor located in Jacksonville Beach, FL. Techniques: • Cox • Manual Adjusting • Diversified Take the next step and contact Dr. Donald Warren Lowery, D.C., for a consultation in Jacksonville Beach, FL or to get more information. CYNDEE FEKULA, D.C., is a chiropractor located in Jacksonville Beach, FL. Take the next step and contact Dr. CYNDEE FEKULA, D.C., for a consultation in Jacksonville Beach, FL or to get more information. Steven E Shaw, D.C., is a chiropractor located in Jacksonville, IL. Techniques: • Manual Adjusting Take the next step and contact Dr. Steven E Shaw, D.C., for a consultation in Jacksonville, IL or to get more information. Blake W Bennett, D.C., is a chiropractor located in Jacksonville, AR. Techniques: • Diversified • Flexion-Distraction • Activator Methods • Thompson Take the next step and contact Dr. Blake W Bennett, D.C., for a consultation in Jacksonville, AR or to get more information. Marcus A. Kampfe, D.C., is a chiropractor located in Jacksonville Beach, FL. Techniques: • Cox • Diversified • Flexion-Distraction • Gonstead • Motion Analysis (Palpation) • Neuro Muscular Technique Take the next step and contact Dr. Marcus A. Kampfe, D.C., for a consultation in Jacksonville Beach, FL or to get more information.